Hi friends!!!!! I'm so excited to be sharing projects from the My Thoughts Exactly February release with you all today. I think this is the BEST release yet! But I might be a bit bias. To start the hop, head over to the My Thoughts Exactly Blog aka Alyssa's Blog. Be sure to leave comments on EVERY blog because there's a HUGE prize! The WHOLE release!!! Wow! In this release, there are SEVEN new stamp sets! There are also FIVE bundles of the new releases available. I adore this release, it's all Valentine's! YAY! 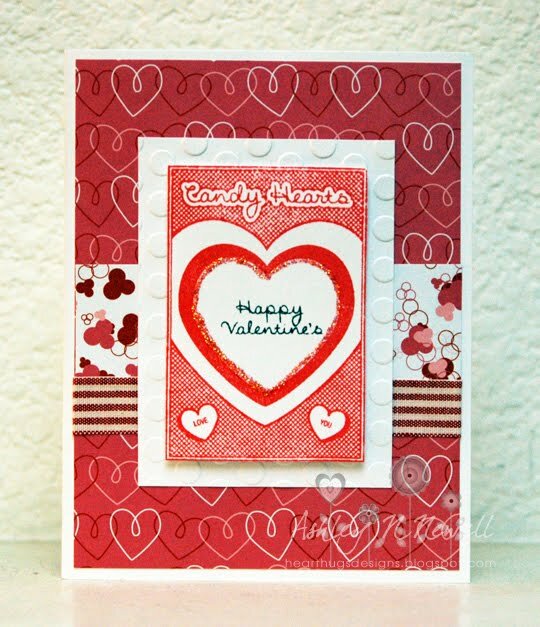 The first 20 customers who order one of the new release stamps will get a FREE Love Labels set! So HURRY! I wanted to show you some versatility here so I used a couple different sets in different styles to really show you what can be done. 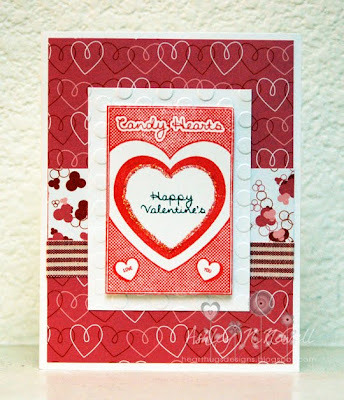 Here's a classic Valentine's Day card with pretty hearts and glitter. This is probably my favorite set of the new release called Candy Hearts. How CUTE is this box stamp?! This uses Bo Bunny paper, Love My Tapes fabric tape, and some Stickles. This next card uses Lovey Puns Animals. It's so perfect for cute cards! 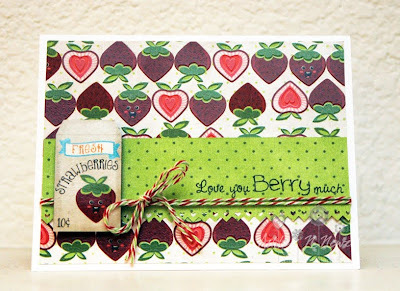 Again, I used Bo Bunny, Love My Tapes and Stickles. Here's one that uses Love Labels which can be used vintage as shown here or elegant or cute or fun. Very versatile! The trims, doily, bead cord and flowers are from Creating is Fun. And lastly, we need SUPER fun and cute right? Here's a card using Lovey Puns Food. I used some Imaginsce paper and some Divine Twine for this. I think this would be cute for any occasion to give to your love. Have a great day! And LEAVE comments to WIN!!! Hi Ashley..woohooo on the fantasic cards..Looove them all!! Great cards. 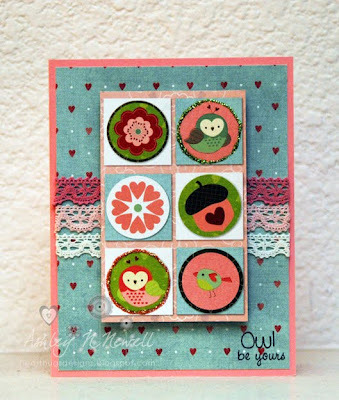 I love the "Owl be Yours" card. Great cards!! Love what you did with each of the sets! Ashley,your cards are fantastic,luv bo bunny papers your stamps are so good,u can really mix them,would luv chance to win them. Great cards! All of the stamps are amazing. Love how you used them. These are great! You have the perfect papers for these stamps too. Thanks! 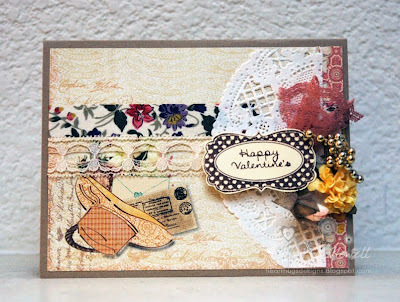 Wow ... what awesome cards, but I must admit the vintage is my fave! 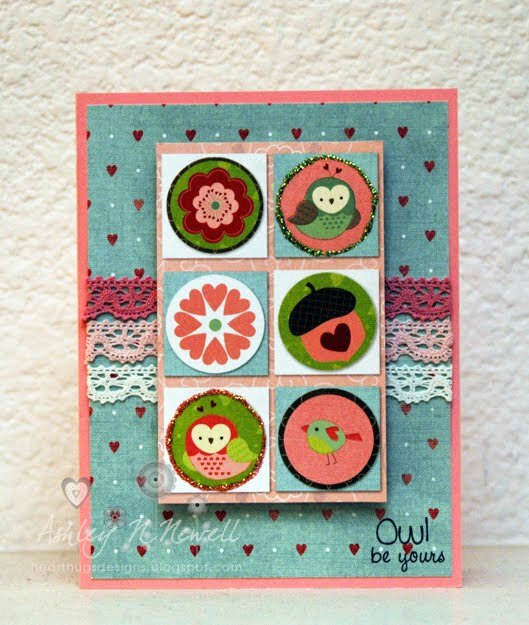 I love the versatility of the MTE stamps! These are all so cute and fun. I love all of your cards...they are so much fun! Great cards! Lots of inspiration for the new stamps! U hv been busy.. love them all! Beautiful! Love all your projects! Wow Ashley! Love all the trims you used! Beautiful cards all around! Very cute cards...the stamps are great. Thanks for the chance to win.